And it’s a little baby something. Whose eyes aren’t even open yet. So I put it in a box and tried to feed it with an eye dropper. And then I eventually decided that he had to be cold and needed my body heat if he was going to have any chance, so I held him in my hand for a couple of hours, while reaching out to my friends hoping somebody knows what to do for him – and what he is. 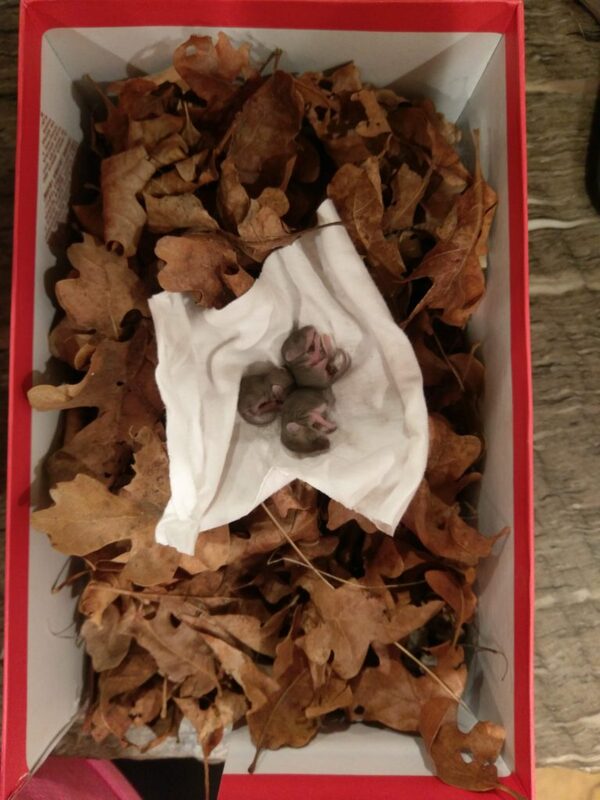 And so my good high school friend Matt Hoobler who knows things like this tells me he thinks he’s a baby squirrel and tells me to fill a shoebox with dry forest material, and to put him into the box near where I found him so hopefully mama will come and rescue him during the night. I knew Matt would be the one to know what to do, and to care enough to help! 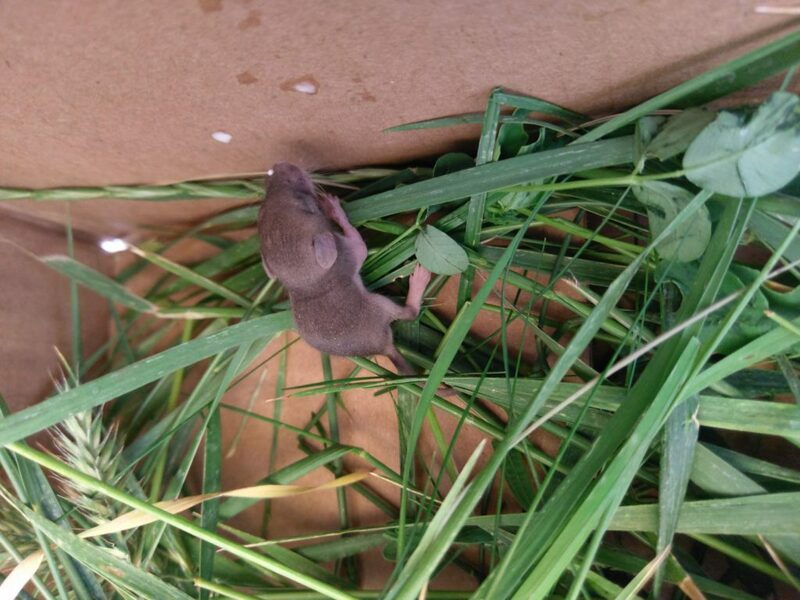 So I go out to the garage to start my mouse house construction, AND THERE ARE TWO MORE! So first I slowly back my car out of the garage so I don’t smush them in my effort to get to them. Then I finish their box (with some constructive advice from Matt, my construction supervisor), and watch them cuddle. I tried to get a little fluid in each of them. I figured they’d either be dead or gone this morning. But neither one – still very much alive, and still squeaking. So since I’ve read a little bit about caring for babies and know that I’m probably not a good critter mom, I called Eagle County Animal Services and the Pauline S. Schneegas Wildlife Foundation down in Silt. The Wildlife Foundation and I decide that it’s probably too late to do much for them with any likelihood of success, but they say they have a volunteer who can pick them up in Glenwood at 4 today if I can keep them alive that long and get them there. But I figure that’s not really possible, so I decide that nature should take its course. But if nature has to take her course, I can at least make it in a peaceful place. So I go put them outside under a tree and say a little prayer for them, and tell them I’m sorry for not being able to save their little lives. But then… Eagle County Animal Services calls me to confirm that they can take them to Glenwood to meet Walt (who is picking up 4 chickens) from the wildlife foundation. 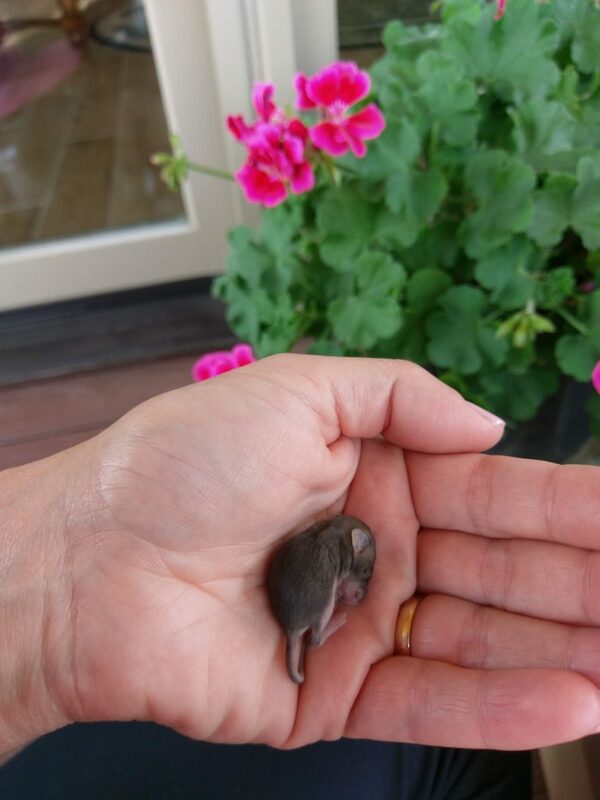 So I go racing back outside to bring them in from the peaceful little spot where I put them, and I start dropper-feeding them more sugar water to try to keep them alive. 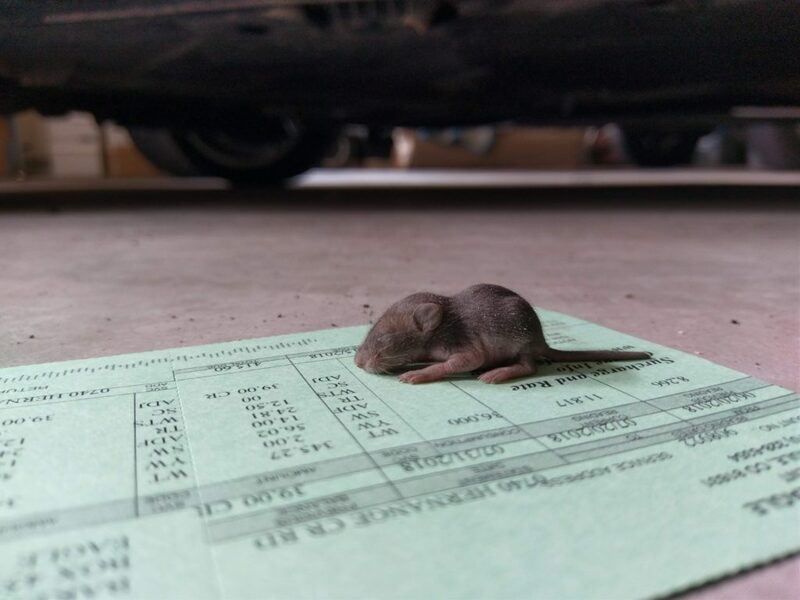 And so, I just gave them a ride to Animal Services and they’ll soon be on their way to their new life … with Walt, who has a rescue mouse at the Foundation that he named Mighty Mouse. My three little musketeers are in good hands!